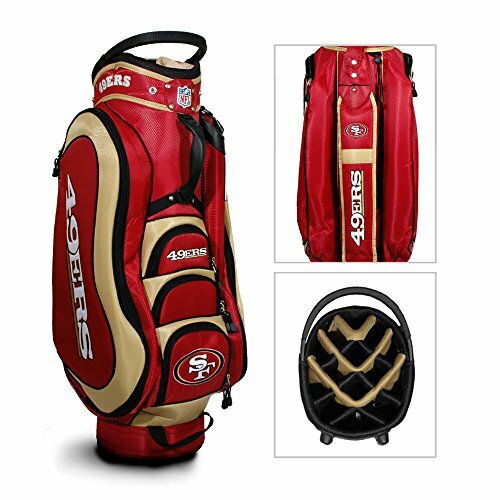 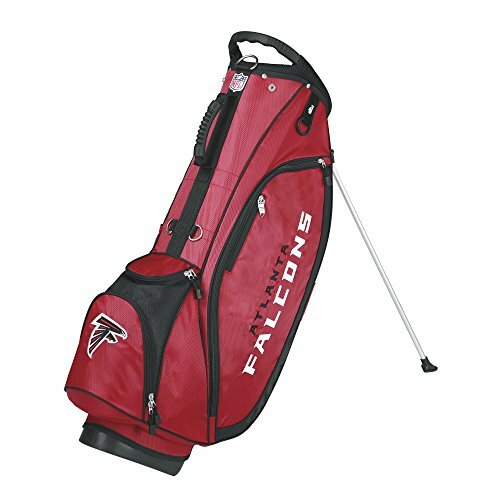 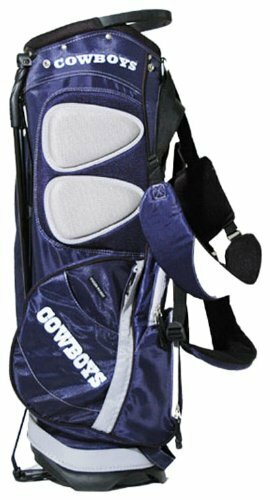 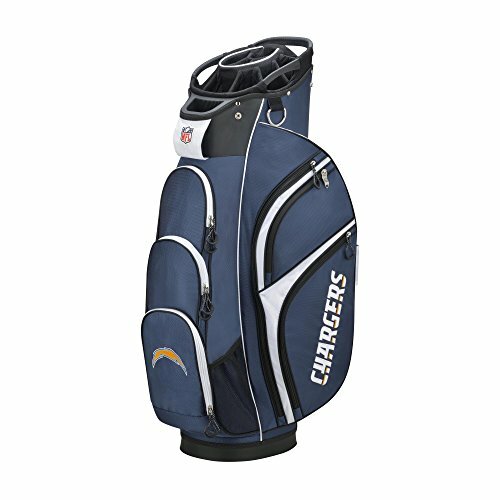 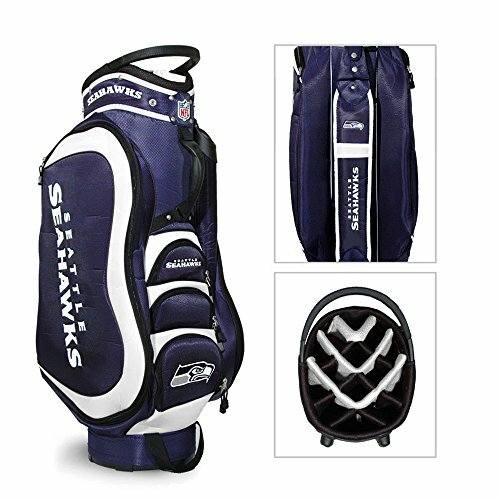 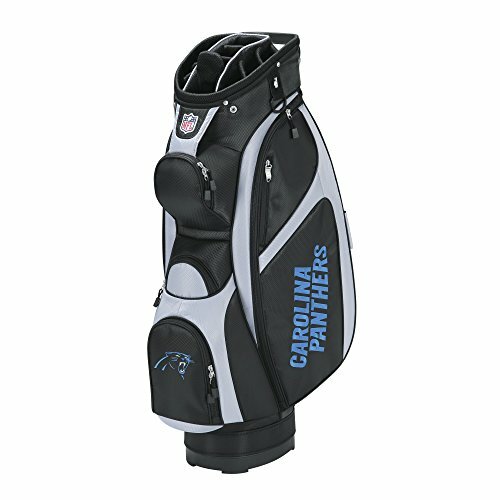 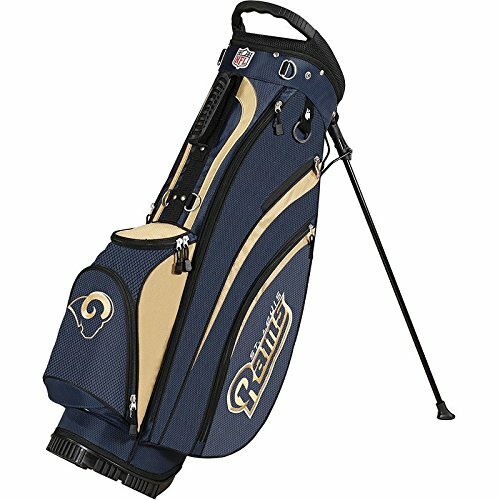 This Wilson NFL golf stand/carry bag comes with a huge amount of features and is designed in team colors complete with team name, logo and colors. 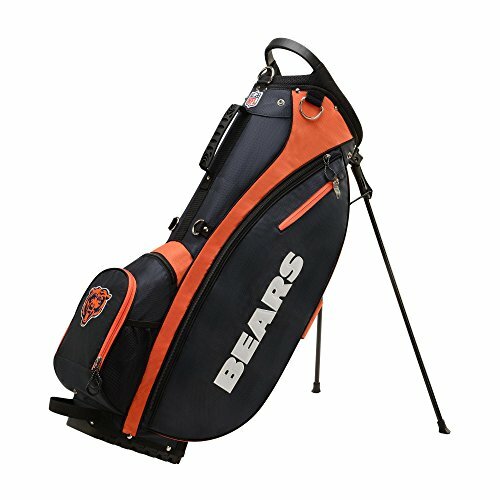 Features : New 9" x 8", 5-way handled top, 3-stays construction, Premium diamond rip-stop fabric, Premium light weight stand, Angled feet, Stand lock strap, Double-strap with 4 attachment points, 7-closed pockets, 1 full-length side clothing pocket, 1 large, side accessory pocket, 1 side valuable pocket, 2 side pockets, 1 front ball / accessories pocket, 1 large bottom, front beverage pocket, Extra features, Large, side range finder pocket, Towel / glove holder, Umbrella holder, Rain / travel hood. 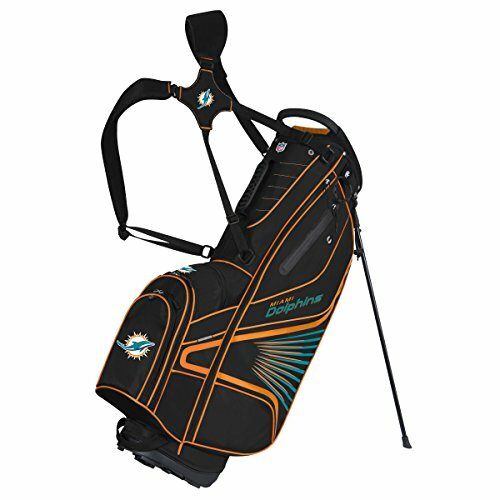 Copyright © Wholesalion.com 2019 - The Best Prices On Golf Stand Bag Nfl Football Online.